Hannah Covered Bridge was constructed in 1936. It bridges Thomas Creek, which is crossed by Camp Morrison Road. Take HWY 226 east of Scio, OR., about 7.5 miles. Turn Right (South) onto Camp Morrison Road. The bridge will be immediately ahead. Cross the bridge for better parking. 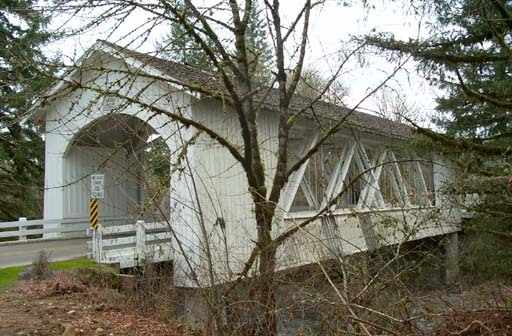 Next stop on the Scio Covered Bridge Tour: Larwood Bridge, Scio, OR.